It’s hard to believe that Marvel Puzzle Quest has been around for five years, with more than 10 million players jumping in and enjoying the battles that its heroes and villains have taken part in. Currently, the game is going through a 5th anniversary celebration, with Anniversary activities starting on October 4 and introducing new characters to the fold, including Taskmaster and Cable, as well as a new “Raid” event and several other sweet giveaways, as well as special sales. To talk about the impact of the hit mobile game, we sat down with Demiurge Studios game director Will Jennings-Hess about how well it’s done over the years, as well as what could possibly be coming next to the Puzzle Quest universe. First off, congratulations on reaching five years. What do you think it is about Marvel Puzzle Quest that gives it such long-term value? The first is that we've been able to make big changes to the game to keep it fresh. Every year has brought new events, dozens of new characters, new features, and new systems. We've changed and added fundamental things about the way the game plays and taken the kind of risks that you don't often see live games taking. That's enabled us to build on our successes and correct our mistakes. 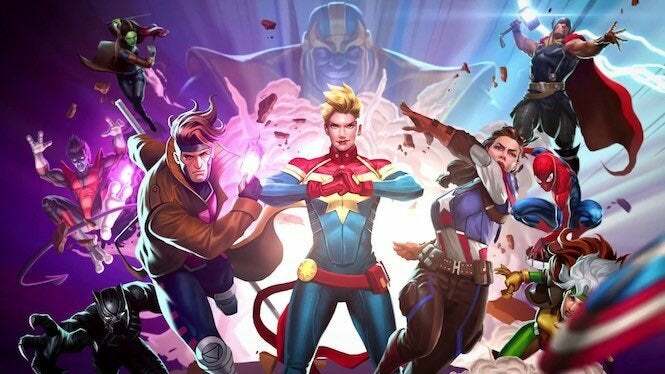 We try to bring to the development of Marvel Puzzle Quest the same inventiveness that we'd bring to a brand new title, even as we try to sustain the key elements that have made it a hit. The second is that the Marvel Universe is such a rich and diverse place with a cast of fascinating characters and infinite stories to tell. Even after five years, there's a very long list of heroes, villains, and moments that we are champing at the bit to bring to the game. Marvel has been a great partner to work with and I'm grateful every day I get to play in their toy box. And the third, and most important, is that we've been blessed with an incredible community of dedicated players. Many of our fans have been with us for years, and many of them picked up the game just recently, but there is just an inspiring number of people sharing strategies and jokes, building friendly rivalries, introducing their friends to the game, giving us insightful feedback, forming alliances and competing together. 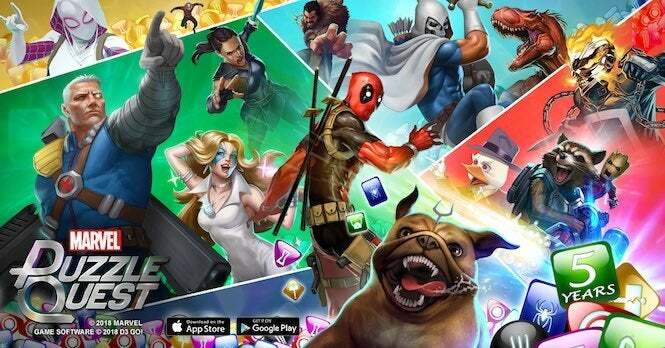 What was probably the biggest challenge when it came to keeping Marvel Puzzle Quest fresh? Our moment-to-moment gameplay is match-three puzzle combat. We knew from playing the original Puzzle Quest games that match-three puzzle combat, strung together in an RPG framework, could result in a compelling, deep strategic experience. But our biggest challenge, and I think our greatest success, has been building mechanics into that puzzle combat that have allowed us to create more than 150 unique Marvel characters, each of which play differently from one another and really, I think, capture the personality and powers of the character. Slowly growing the design space for character powers in a way that keeps things clear while providing for both storytelling needs and mechanical balance has been really challenging and satisfying. 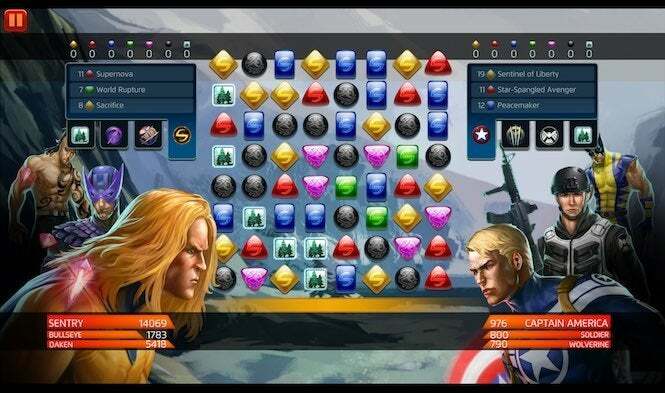 In many ways, the puzzle format enables us to tell those character stories more effectively than if we were a more traditional action RPG or fighting game - because the puzzle board is more abstract, we can tell stories about Kingpin's behind-the-scenes plots and Thanos's ruthlessness alongside stories of Captain America's determination, Star-Lord's roguish charm, Emma Frost's haughty calculation, and Loki's mischief. Not everyone does a lot of punching and kicking in the Marvel Universe, and it's freeing when your game mechanics allow you to capture more kinds of conflict than just hand-to-hand combat. We understand you have a lot of events planned for the anniversary? Can you fill us in on what we can expect? Oh, yeah. A little while back, our community voted on their favorite events and characters from the history of Marvel Puzzle Quest, and we'll be featuring them throughout the anniversary season. That runs from October 4th through October 22nd. All of those events feature bigger rewards than usual - double Iso-8 and tokens to a special Anniversary Vault that includes characters that you can't find all the time, like Devil Dinosaur and Howard the Duck. We're also running a brand new type of event, a story event where you strategize with your alliance and split up to different locations to try to keep vast mystical power from falling into the wrong hands... I'm really excited for players to experience it, it's quite different from our other events. What sort of free “gifts” can fans expect during the event? We're thanking our players for getting us to five years with a bunch of gifts just for logging in! Play the game throughout the anniversary season to get tokens to the Anniversary Vault, double iso-8 rewards, and other fun surprises. Are there any special challenges that players can look forward to? Perhaps some new villains? We're really excited to finally bring Taskmaster to the game! He'll be available for a limited time, just during the anniversary. He's been watching Marvel Puzzle Quest for the last five years and has picked up a lot of different moves from a lot of different characters, and you can mix and match them in a ton of different ways to respond to whatever situation you find yourself in. In addition to Taskmaster, players will look forward to the release of Cable, our newest 5-star character we will release in two weeks. Players have been asking for him for a very long time and we are excited to finally make it happen. What’s next for Marvel Puzzle Quest, you think? Or can you tell us yet? There's something new coming every month in Marvel Puzzle Quest, and we have particularly big plans for the winter and spring - we're not quite ready to announce anything yet, but we've got dreams and plans to keep the game growing bigger and better for another five years and beyond! Thanks for taking the time to talk with me, and thanks to all the players of Marvel Puzzle Quest for making the game possible and honoring us with your free time - we'll do our very best to keep making it worth your while! 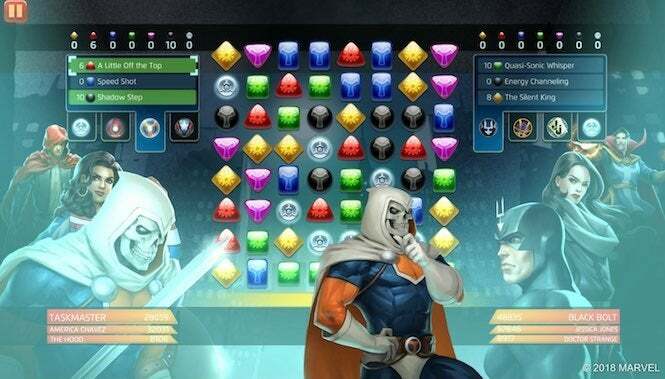 Marvel Puzzle Quest can be downloaded now on iOS and Google Play.